This only includes the files that needed to change to support FCP X 10.4. Our training is recognized around the world as the most accurate, most complete, most helpful video training available for Final Cut Pro X. In this latest edition, Apple-Certified Trainer, Larry Jordan, showcases all the new features in Final Cut Pro X 10.4, as well as include new techniques he’s learned since the last time he updated his training. 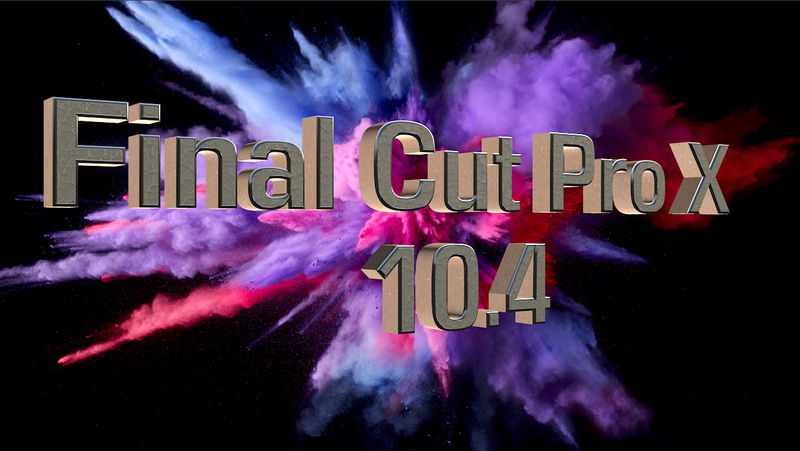 Because the 10.4 update did not make significant changes to the Final Cut interface, media management or editing operations, we were able repurpose about 75% of our training for FCP X 10.3 for this update. This title contains the 21 new movies that needed to change to cover the new features in the 10.4 update that relate to our Workflow & Editing training. New features – hidden secrets – and killer techniques – all in this updated new title. NOTE: All the movies in our FCP X: Effects title are new. Learn more here.